Is a full range of body types being represented for women? Is a full range of body types being represented for men? Is a full range of body types being represented for trans and nonbinary characters? How many of the curvy and fat characters are being presented as attractive? Are any fat or curvy characters being represented as unattractive? Is a diversity of body types being represented for both white people and people of color? For these questions I am using “characters with marginalized sexual and romantic orientations” as an umbrella term that includes gay, lesbian, bisexual, pansexual, queer, questioning, nonmonagamous, polyamorous, asexual, and aromantic orientations. How many characters with marginalized sexual and romantic orientations are there? How does the number of characters with marginalized sexual and romantic orientations compare to the number of characters with privileged orientations? Please note that characters whose sexual and romantic orientations are not clearly stated or depicted will usually be interpreted as having privileged orientations. How many of the characters with marginalized sexual and romantic orientations are people of color? Are any of the characters asexual or aromantic? Are their nontraditional family structures present? Are any of the characters nonmonogamous, polyamorous, or using some other form of nontrandional relationship structure? I highly recommend the article “May I Play Another Race?” by James Mendez Hodes for in-depth information on this topic. Also, for those white people who are doing public projects, I highly recommend hiring a POC consultant if at all possible. How many characters are people of color? Do any of the characters of color fall into racial stereotypes? Are any of the groups in the story (human or nonhuman) portraying cultural stereotypes? For example, is there a stereotypical tribal people? Are all cultures in the story depicted with equal depth and complexity? Are any cultures singled out as being better or worse than other cultures? For those stories with nonhumans in them, are there both humans and nonhumans who are people of color? How does this compare to the number of white humans and nonhumans? Please be aware that certain types of nonhumans, such as orcs, are connected to a history of racist depictions that will affect how they are interpreted. For those interested in more detailed information on negative stereotypes of disability to avoid, you can check out this series of articles. Also, if you are ablebodied and neurotypical and are representing disability in a public project, I highly recommend hiring a disability consultant. 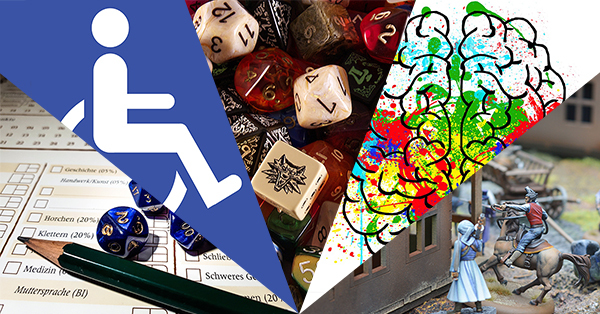 You can find a list of disability consultants for geeky projects here. How many of the characters have disabilities? Is more than one type of disability being represented? For example, how many of the disabled characters have physical disabilities, chronic illnesses, and divergent minds? Is there at least one character with a physical disability or chronic illness that is presented as physically capable? How many of the disabled characters are people of color? If any of the disabled characters are villains, is their disability being used as a cause of their villainy or to make them seem more sinister and intimidating? Are characters from a variety of class backgrounds being represented? If not, are low income and working class people being represented? Are the characters who are low income, working class, or in positions of service being represented as full people? For example, are there characters that are only depicted as loyally serving others? Check the number of characters of each class who are portrayed positively and negatively. Are the characters born to families with wealth, social status, or power being portrayed more positively (as more deserving, capable, or worthy) than those character born to families without wealth, social status, or power? Is a diverse range of ages being represented? Are youth present? If so, are they being depicted stereotypically? Are elders present? If so, are they being depicted stereotypically? If religions are being represented, is a diversity of religious beliefs and traditions being represented? Are there any religions or belief systems that are being portrayed as more or less valid than others? Are socially marginalized religions or belief systems (in the USA this would be anything other than Christianity) being represented negatively? I’ve tried to incorporate a few particularly important intersections into the questions on this list, but intersectionality is so important that I also wanted to talk about here. How many characters have two or more marginalized identities? How does this compare to the number of characters with a single marginalized identity and those with only privileged identities? Are characters with multiple marginalized identities given the same amount of agency as characters that are more privileged? Are characters with multiple marginalized identities given the same amount of social importance and power as more privileged characters? Please note that context affects this question a lot. For stories that focus on oppression, it isn’t necessarily a problem to have a power imbalance as long as it is done carefully. These are additional traits, identities, and experiences that are good to represent. Immigrant Status: If immigration is present in the setting, are there characters with non-privileged immigrant statuses present? If so, are these characters being portrayed respectfully? Linguistic Minorities: Are there characters who don’t speak the local dominant language? Are there characters who speak the local dominant language as a second language? Are there characters who speak a stigmatized language or who speak with a stigmatized accent? If yes to any of these questions, are these characters being portrayed respectfully? Intersex Characters: Is one or more intersex characters present? Note that intersex characters are often grouped under the LGBTQIA+ rainbow, but not every intersex person identifies this way. It is also important to keep in mind that being intersex is different than being queer or trans.